It's amazing what you can discover in your own back yard. 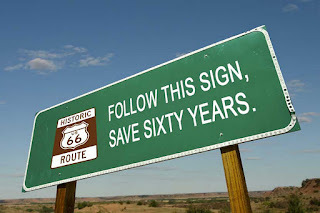 I am quite pleased to learn that a task force is being created to better market Route 66 in Tulsa. The effort to spiff up the old road is being championed by rookie city councilor, Blake Ewing (District 4). Signs near Oklahoma's borders tout saving time on the turnpike. 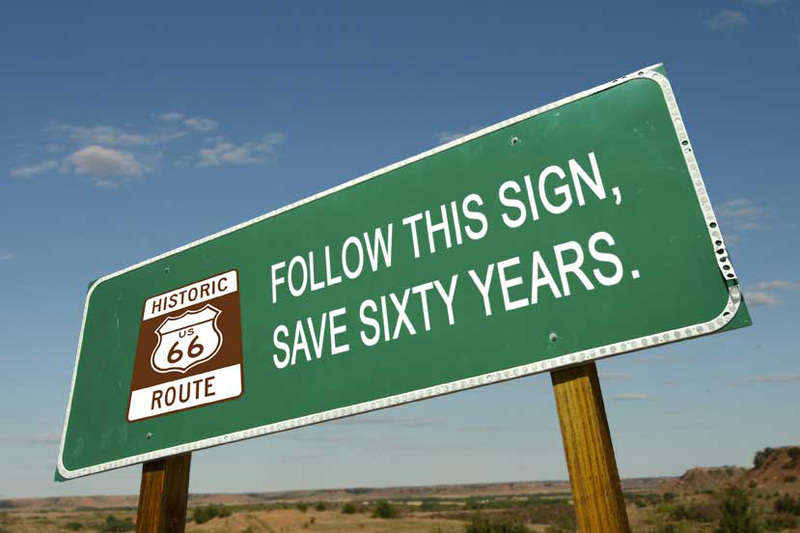 I always wanted to post a sign that touted saving our history. The Tulsa World reports the task force will examine ways to spur development, rehabilitate neglected structures and clean up abandoned brownfields. Sadly, it wasn't that long ago that many locals were befuddled by all the tourists coming to Tulsa to experience the Mother Road. In the early days of the Internet it was not uncommon to find more information on Tulsa's stretch of Route 66 from a website located in Japan or Germany. Some guidebooks even skipped over T-Town, it was the dedicated "roadies" who discovered Tulsa despite our lack of effort. Ironic for a city that was home to the man commonly known as the Father of the Mother Road. I think this is good news. In recent years my home town has done a better job of marketing the history of the Old Road. But there's so much more that could be done. Although we're late to the party, maybe efforts like this can help us capitalize on this wonderful resource. After all, it's in our own back yard. Literally.